Every so often there comes an artist crossing so many boundaries, mixing so many mediums, that their place in the echelon of artistic society is hard to determine. Was Robert Mapplethorpe, for instance, a photographer, glass artist, or sculptor? Southern author Flannery O’Connor’s illustrations are prized almost as much as her award-winning literature. The GLASS Quarterly Hot Sheet discovered such an artist at the PULSE Contemporary Art Fair in New York City in early May. Jordi Alcaraz, a Spanish artist shown widely across the European continent over the past two decades, found a place of prominence in New York City due to representation at the fair by both Galeria Nieves Fernandez (Madrid, Spain) and Tomlinson Kong Contemporary (New York City). Alcaraz blends sculpture, paint, writing, and woodworking into the glass encased “books” that have gained him notoriety in contemporary galleries. Drawing comparisons to Lucio Fontana for his stark, minimalist approach, the objects displayed behind glass and wood go one step further to evoke Joseph Cornell. 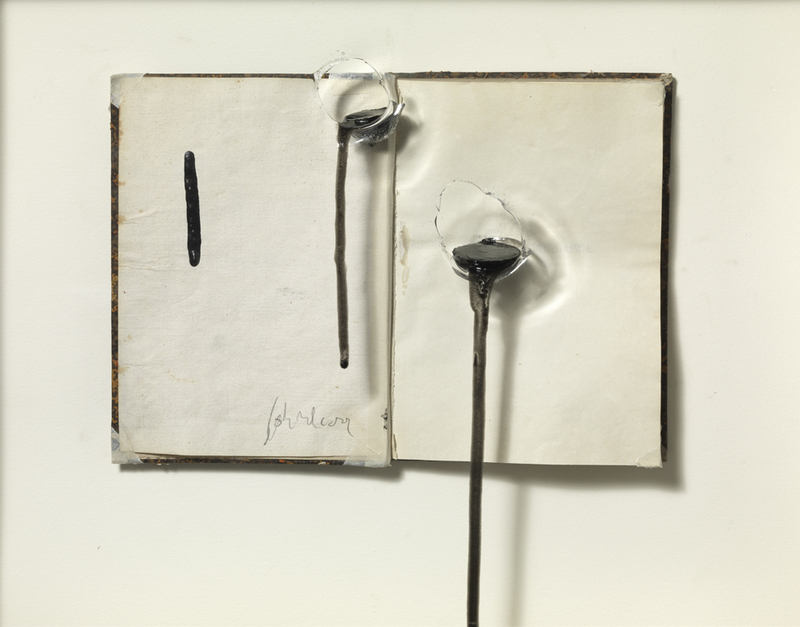 Nerea Fernandez, who runs the gallery with her mother, the gallery’s founder and namesake, describes Alcaraz’s work as personifying the written word’s shy desire to return into itself, leaving only traces of itself on the page. The deconstructed books are created in layers, first the paper object, ink, paint and pencil. These are then enclosed in plexiglass which Alcaraz melts, distorting the surface image to which he often adds more paint. He then constructs a wooden frame and a second, smooth plexiglass surface which maintains a tidy visage for the work, while what is behind the frame appears both demure and disturbed. Alcaraz’s work is currently on view in his first- ever New York City solo exhibition at Tomlinson Kong Contemporary at 270 Bowery through June 16, 2012.